Montroyal PAC welcomes you to the 2016/2017 school year! ​We are proud of our school! Click here for an exciting new video! Both new and returning families need to register into the system. Enter information used for the MPAC School Directory and MPAC communications and place your Hot Lunch orders. Ordering for Session One is now open until Monday, Sept 19th with first food delivery on Tuesday, Sept 27th. ​See more details about the Hot Lunch Program or go directly to montroyal.hotlunches.net to begin registration. Don't miss out! Order your food by the end of Thursday September 15th for our upcoming BBQ, on Thursday September 22nd. Click here to learn more about the event. This is a chance to meet the teacher, gain understanding of the curriculum and ask questions. Enabling both parents to attend, the PAC is offering child-minding by some of our grade 7 students in the multi-purpose room. Please register here. The school administration will be providing details on locations. ​Invitation to all Montroyal moms, after curriculum night and the kids are settled in bed, join us for drinks at Queens Cross. It is an open invitation. Dads, we will have a night out for you soon. Being a Class Rep is a great way to get to know teachers, students and parents in your child's class. Visit our Class Representatives page to find out more about the role and/or to volunteer. Any questions about being a rep, please email Jane Alpen at classrep@montroyalpac.com. Come and join our Team! Interested in volunteering your time? MPAC is always looking for volunteers and we have many opportunities throughout the year. We are also looking for someone to oversee fundraising, hot-lunch helpers and a Grade 5 traffic control parent. Visit our Volunteer page for more information and get involved. If you have an empty plastic Edupac bag, do not throw it away! Edupac will reuse them. There will be a box in the foyer for empty plastic Edupac bags starting Monday. If walking/riding to school is not possible, try parking a block or two and walking. If you absolutely must drop off and pick up your child in front of the school, please give yourself the time to do so safely and follow our Montroyal School Zone Safety rules. Ladies jacket found. Please see Dianne Palgova (office) if this belongs to you! 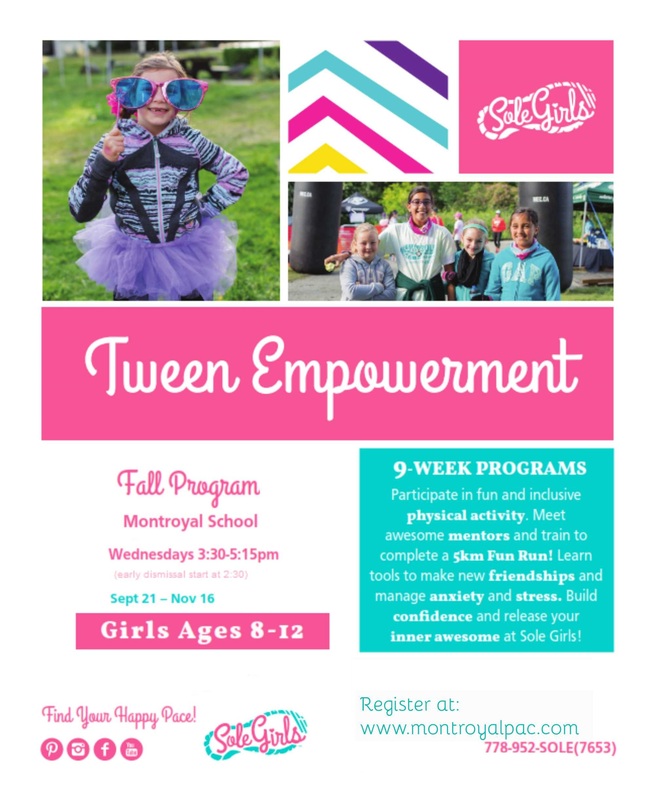 Here are our new lunch time, after-school and Pro D day programs at Montroyal this Fall term. Registration is open now. Click on the image to find out more about each program. The MPAC invites you to meet new families and connect with friends at our Welcome Back Event. ​Where & When: Thursday September 22 from 5:00pm - 8pm on the school grounds. Orders MUST be in by September 15th. ​Please click HERE for all the event details ! ​Looking for a great day camp? Click here for information. Students will be dismissed at 2:00 pm. Find the 2016/2017 PAC meeting schedule here. Every Child Matters a recognition of the harm the residential school system did to children's sense of self-esteem.